Diversity Training is currently one of the most important types of staff development available. Everyone from major banks to the military are making Diversity Training an integral part of their modern operations. 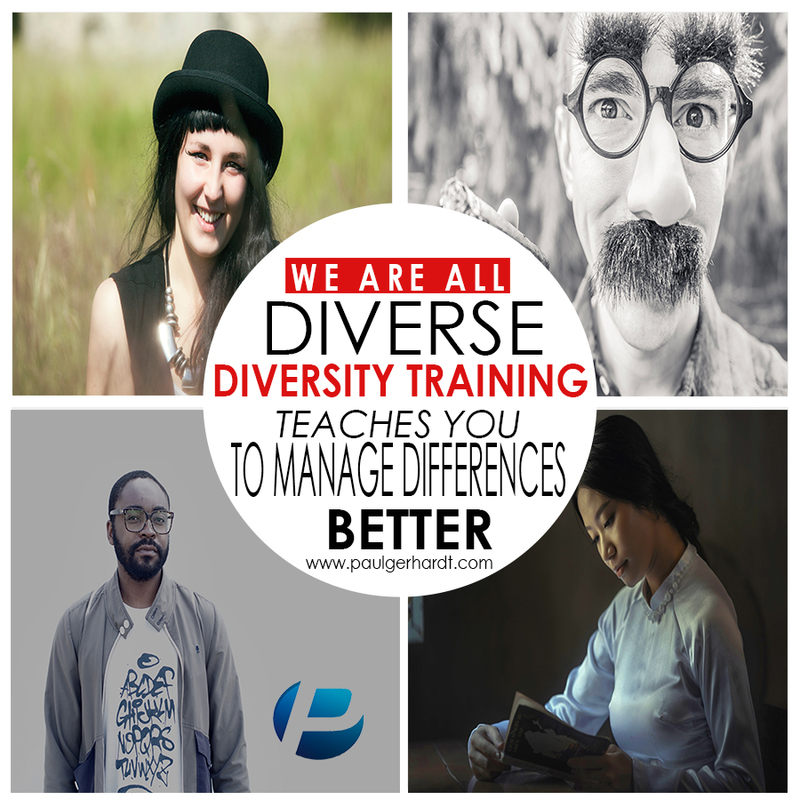 In Dr. Paul’s four hour and six hour workshops, he guides your team through eye opening activities and exercises to expand diversity awareness. This training is designed for employers of ALL types and can be delivered at the location of your choice. Of course, this training helps your team avoid illegal and unethical behavior. But it also goes much further. The diversity aware individual has a greater sense of understanding, compassion, and ability to work at higher levels with all others. Ultimately your teams will operate far more smoothly, be more productive, create less waste, and exhibit greater leadership and creativity. Now YOU can get the outstanding Diversity Training your firm needs, delivered by one of the nation’s most respected experts in staff development. Please contact us today for your no-obligation discussion concerning a workshop visit from Dr. Paul Gerhardt.